An auto accident can be a frightening experience and can change your life in seconds. Auto accidents cause serious physical injuries, emotional trauma, lost earnings and costly property damage. Even a low speed accident, or one that doesn’t result in much damage to your car, can cause physical injuries and aggravation. If you or a family member has been injured in a car crash, we are here to provide the advice and help you need. We will act quickly and work diligently to make sure your rights are protected and to maximize the compensation you receive, either through an insurance claim or lawsuit. After an accident your car is often towed away. It can be sitting in a wrecking yard racking up storage fees and the aggravation of dealing with the insurance companies just adds to the stress. We know how to handle the repairs, the rental car and how to get you the full value if your vehicle is a total loss. This can be challenging to do on your own, but we are here to help. Most automobile accidents are caused by driver error. If more drivers would simply reduce their speed and drive less aggressively, there would be fewer accidents. We also find that distracted driving is a cause of many accidents - talking on the phone or texting while driving is now a major problem. Each accident requires careful investigation and documentation. And the earlier the better. Vital evidence can be lost, debris moved, video deleted and skid marks and fluid spills can be washed away by rain. Failure to make a thorough, early investigation can result in a bad outcome. It is essential that you contact an experienced, local, personal injury attorney that will fight for your rights and get you the settlement you deserve. Call or contact us immediately for a free consultation. 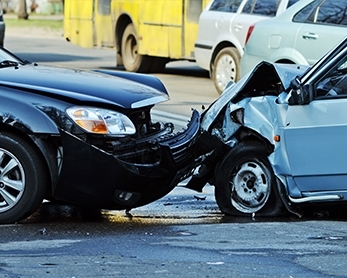 We have recovered millions of dollars for clients in all types of auto accidents. If you have been injured call us now at 318-443-7615 or SUBMIT A SHORT AND SIMPLE CASE FORM HERE!